From Cardinal Seán's blog. Published 3/29/2019. Local. This is the home of CUA's business school, which was just recently refurbished and, in the process, they created this very beautiful Chapel. I also had the opportunity to give a talk at the university. The formators of the seminaries and religious orders asked me to speak about causes for hope in the Church today. 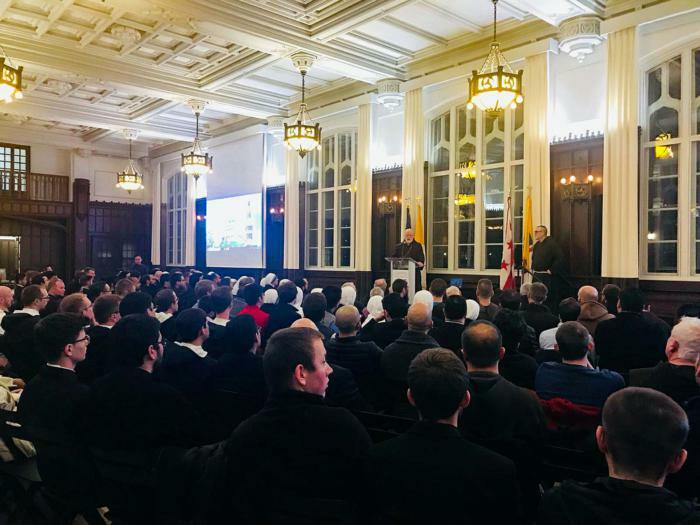 We had a large group of about 200 to 300 seminarians and young religious at O'Connell Hall. I shared with them that, in this terrible time of crisis, it is holiness that is going to help the Church move forward. If we are faithful to our formation and faithful in taking care of people, and if our words and actions are paired with the values of the gospel and what we profess in our faith, only then will we be able to bring healing to our Church and all those who have been wronged by it. I was amazed at how many people came. If I had had 50 people there, I would have thought it was a great turnout. Instead, there was a huge crowd. You can see how these topics are certainly on people's minds and seminarians and young religious are looking for answers -- like everyone else. 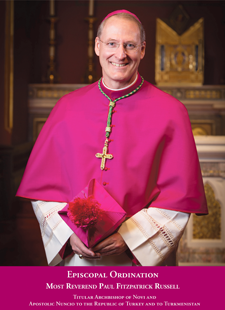 On Wednesday, I was back in Boston, and I attended the wake of Deirdre Kennedy whose twin brother is Father Bill Kennedy, a priest of the archdiocese currently serving as a Navy chaplain in Washington. I was glad I was able to be there and express my condolences to the family. On Thursday morning, we had a meeting of the Archdiocesan Finance Council. This is a group of laypeople from a variety of professions and disciplines who help advise the archdiocese on financial matters. They are very dedicated men and women who have been a huge help to the archdiocese over the years -- and we are very grateful for their service. As always, it was a wonderful opportunity for us to be together, pray, share a meal, and discuss priestly life and ministry.